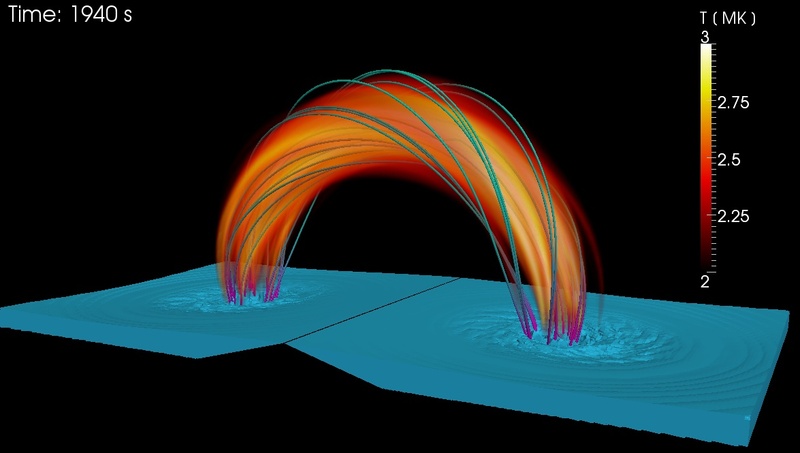 MHD modeling of magnetic structures of the solar corona and Coronal Mass Ejection (CME). The studies are devoted to discover new diagnostic tools and to acquire new insight in the detailed physics of magnetic structures of the solar corona The project is based on the FLASH and PLUTO codes and we performed extensive 2D and 3D MHD simulations, using substantial resources, including those of a PRACE Project and 2 national key-projects, at CINECA. Currently we are analysing the propagation of high-speed chromospheric flows into coronal magnetic flux tubes, and the possible production of emission in the EUV band (Petralia et al. 2014, A&A submitted). Also we are investigating the heating released by magnetic reconnection of a twisted coronal loop in the framework of a PRACE project[ .... read more .... ].